The Australia / Oceania Travel Links page is where I gather all the quality links I find to travel related websites and blogs about Oceania places. If you have a quality travel related website (or blog) about a place in Australia / Oceania and would like to provide a link to it, feel free to contact-me. Checkout bellow the site I have found so far (I know it's not much but I'm looking for more). Rockytravel is the ultimate travel guide to Australia for the independent traveller! Here you can find all what you need to know about Australia for organizing your trip by yourself, or if you prefer with the help of an expert traveller. 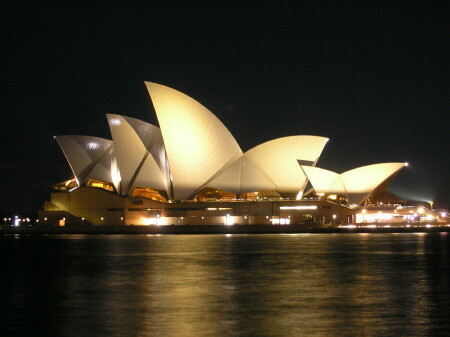 Rocky travel has been created especially to suit the needs of women travelling alone and backpacking around Australia. Explore New Zealand. Discover the best holiday and tourism locations, create a detailed travel plan and itinerary, get New Zealand facts to make the most of your vacation and tour of NZ. Find information on accommodation, car or campervan hire, tours, maps, books, and climate and weather forecasts.